In today's Small Batch, Caitlin Freeman of Blue Bottle Coffee shares her recipe for moonshine marshmallows. Caitlin is the co-author of The Blue Bottle Craft of Coffee and the author of Modern Art Desserts, which comes out in April 2013. Blue Bottle is the coffee company that my husband, James Freeman, founded in 2002. We met shortly after he started the business as neighbors at the Berkeley Farmer's market; I was a baker with a young business, Miette Patisserie, and side-by-side we sold cakes and coffee at the market every Saturday. In 2008 I sold my portion of Miette and James asked me to start a small bakery within Blue Bottle, making coffee cakes and cookies for his West Coast shops. In 2010 we had the opportunity to build a roastery and cafe in Williamsburg, Brooklyn, and I was tasked with how to bring the pastries that had become such a part of the West Coast Blue Bottle experience to the East Coast. Since we live in San Francisco and have a son in elementary school, we needed to find someone who knew Blue Bottle well and could run a pastry department all the way across the country. James and I have known Sarah Cox, a lovely and talented baker, since the early days at Blue Bottle in San Francisco. Much to my delight, Sarah packed her boyfriend and her beloved parakeet, Miss K, into a U-Haul trailer with quite a few pounds of Blue Bottle coffee to keep them going on their road trip to New York. Upon landing in Brooklyn, her first order of business was to find local products to use, adapting our West Coast pastries with East Coast ingredients. She talked the Mast Brothers into selling us chocolate for our double chocolate cookies, she sourced local butter, eggs and dairy, and found locally milled flours for us to use. She also found a few phenomenal ingredients that begged to have recipes developed around: Kings County Distillery Moonshine, Tremblay Apiary Fallflower Honey, and Daisy brand organic whole wheat pastry flour. The honey and whole wheat flour called out to become graham crackers, and the moonshine sounded like it could be a great ingredient to substitute for the Lillet we were using in marshmallows at our cafe at the SFMOMA in San Francisco. Using the Mast Brothers chocolate we had our hands on, we had the makings for a delicious s'more! At our cafe at the SFMOMA, we make desserts inspired by art that's on display in the museum. For The Anniversary Show, one of SFMOMA’s seventy-fifth anniversary exhibitions in 2010, the Jeff Koons sculpture, Michael Jackson and Bubbles, was going to be featured in the galleries. After a failed (and phallic) attempt at a gilded white chocolate covered frozen banana, I had the idea to float bubbles of Lillet flavored marshmallows in a lemon and cardamom white hot chocolate and top them with gold leaf. The whole thing was served in an ornate glided Turkish tea cup and was very popular. Spurred on by Charlotte Druckman for an article she was writing for the New York Times T Magazine, Sarah and I set to work on making the s'mores happen for our opening day in Brooklyn. We substituted the moonshine for the Lillet in the original marshmallows, and set to work on the other s'more components. 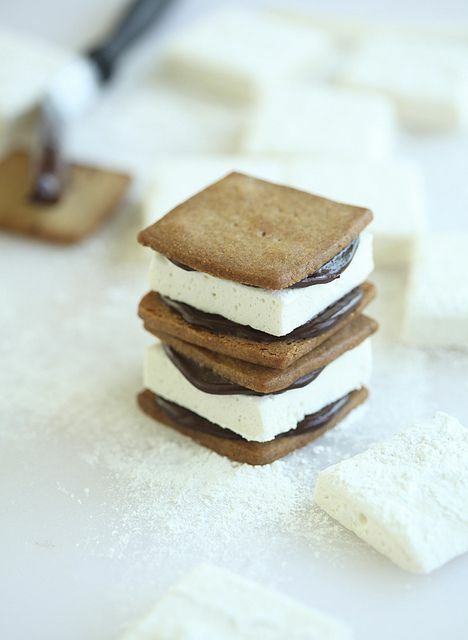 Once assembled, Charlotte (beside herself with enthusiasm), declared that they should be called the Brooklyn Bootleg S'mores. And so it was. 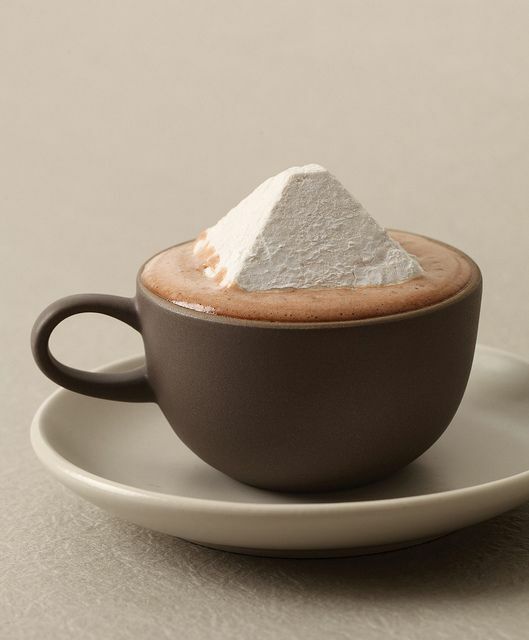 In addition to the Koons Hot Chocolate and the Brooklyn Bootleg S'mores, this recipe for marshmallows has made a few other appearances within the Blue Bottle pastry kitchens. In 2011 we turned them into an open faced s'more inspired by Andrew Kudless's wall sculpture, P_Wall, with water replacing the alcohol and increasing the vanilla to 1 1/2 teaspoons. And in 2012, we used the same modification to make a tetrahedral-shaped marshmallow that we sprinkled with sea salt harvested from the exact location in the San Francisco Bay where Buckminster Fuller envisioned a huge floating pyramid-shaped city. We have also made a salted whiskey version of this marshmallow that we serve as an amuse at our siphon bar in our Chelsea shop in New York. If you’re using gelatin sheets, fill a medium bowl with ice water and submerge the sheets in the water. If you’re using powdered gelatin, pour the 1/3 cup (2.9 oz / 80 g) of water into a small bowl and sprinkle the gelatin evenly over the surface. Let either stand for 5 to 10 minutes. Meanwhile, sift the cornstarch and confectioners’ sugar into a small bowl. Line an 8 by 8-inch baking pan with 2 sheets of parchment or waxed paper, laying the sheets perpendicular to each other so that the bottom and all sides of the pan are covered. Sift enough cornstarch mixture into the prepared pan to completely and generously cover the bottom. Reserve the remaining cornstarch mixture. In a small heavy saucepan over medium-high heat, stir together 1 tablespoon of moonshine, the granulated sugar, agave nectar, 2 tablespoons water and salt. Bring the mixture to a boil without stirring and cook until the temperature registers 238°F to 240°F on a digital thermometer. Meanwhile, if using gelatin sheets, lift the softened sheets out of the bowl, squeeze out the excess water, and put the gelatin and the remaining 2 tablespoons of the moonshine in the bowl of a stand mixer fitted with the whisk attachment. If using powdered gelatin, add the bloomed gelatin to the mixer bowl along with 2 tablespoons of the moonshine. With the mixer turned off, pour all of the hot sugar syrup over the gelatin. 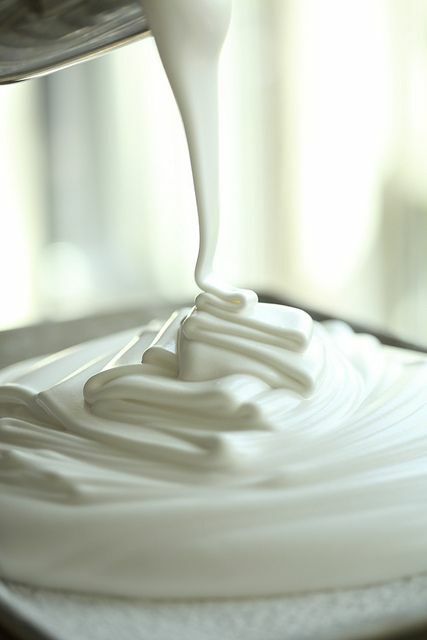 Whip on low speed for 30 seconds, increase the medium speed and beat for 30 seconds, and then increase the speed to high and whip for 10 to 11 minutes until the mixture is smooth, glossy, and holds medium-firm peaks. It won’t begin to resemble marshmallow until around the 5-minute mark. 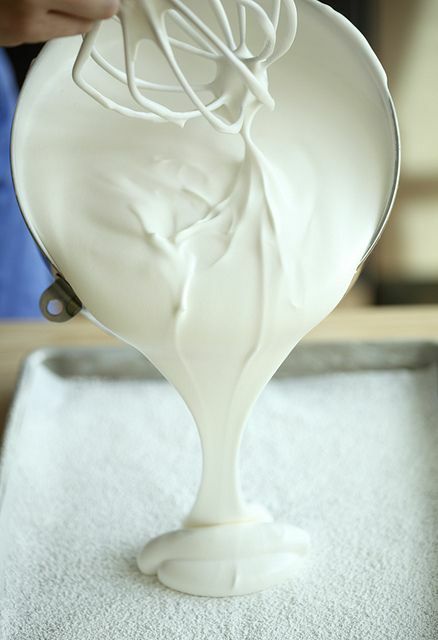 Working quickly, transfer the mixture to the prepared pan and smooth the surface with a greased offset spatula. Let stand at room temperature for 3 to 4 hours until set. Sift a generous amount of the reserved cornstarch mixture over the surface of the marshmallow. Remove from the pan by running a knife along any stuck edges, and then carefully peel away the parchment paper. 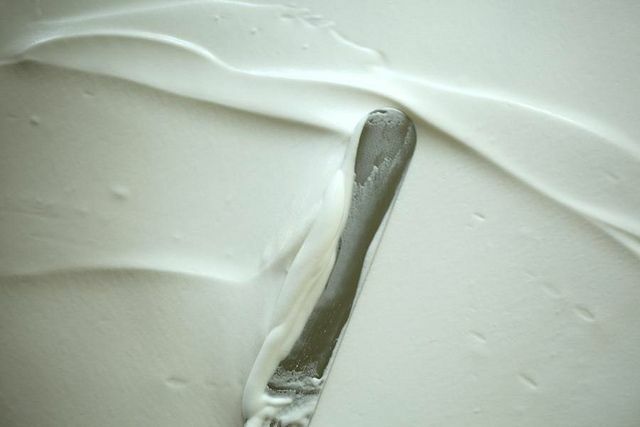 Cover all of the edges with the cornstarch mixture. 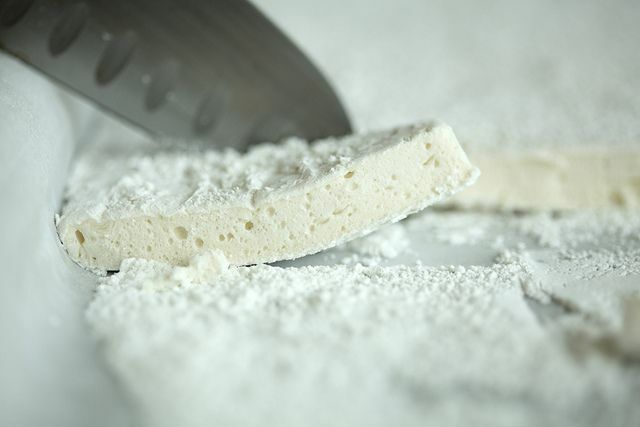 Using a knife or scissors dusted with the cornstarch mixture, cut the marshmallow into 2-inch squares. Generously dust all cut edges with cornstarch mixture to prevent sticking. Pastry Chef, Blue Bottle Coffee. Co-author, The Blue Bottle Craft of Coffee. Author, Modern Art Desserts. would a flavored vodka be an ok substitute? how do you make a kid version ? Hello! Is there a Gelatin Alternative that I can use to veganize this recipe? Use Agar instead of gelatin..
Made these last night- with Jeremiah Weed bourbon. Before anyone comments about that- it may not be the best product out there, but it has an almost stereotypical "bourbon" flavor that works well with cooking. Then I dipped them in a thinned chocolate ganache. Very, very, very good. I do have one caveat and one recommendation, however. Don't let this stuff whip too long. When it makes soft peaks, and it looks like loose fluff- pour. Otherwise it's going to start setting up in the bowl. And... consider making a double batch for really huge marshmallows. That's what I am doing next time. For cooking-I use the mid range bourbons, because my husband would Not Be Pleased if I got into his Pappy Van Winkle's. Once you start adding in the sugars and such, high dollar liquor would be wasted, in my opinion. Ooooh. Homemade marshmallows are incredible. These sound positively luxurious. I like the agave nectar addition instead of using corn syrup. Can these be stored? If so, please note how. No way I'm gonna find moonshine and agave syrup in Brazil...what should I use instead? I would think Cachaça would be an easy but less flavorful substitute for the moonshine - you want a clear spirit about 40% abv (80 proof) with more character than vodka. For the Agave Nectar, honey would be a good substitute I think, but it's sweeter than agave so you might use a bit of water with it, but not too much or it will be too thin. White corn syrup or some other syrup of a similar consistency might work but you'll need to experiment some to get the right sweetness. I think I may have just died and gone to heaven! How far in advance can they be made? Storage? there is no vanilla in the recipe but calls for in the instructions. to vanilla or not to vanilla? Not to vanilla -- I just checked the Blue Bottle Craft of Coffee cookbook and updated the post and recipe. Thanks for asking! wow.. Can this be done using Agar powder instead of gelatine for the vegetarians out here?? Yes. I just googled it and there are recipes for vegetarian marshmallows using Agar powder. You'd probably have to practice and master that recipe first and then experiment with this one. Wow, Thank you so much morgansherid.. I'll check out the recipes..